Only months away from the start of the 20th World Cup in Brazil. 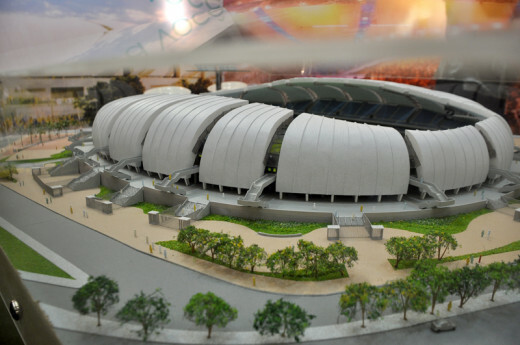 Every time there is a new edition of the World Cup we see a new construction of the stadiums that games will be played. 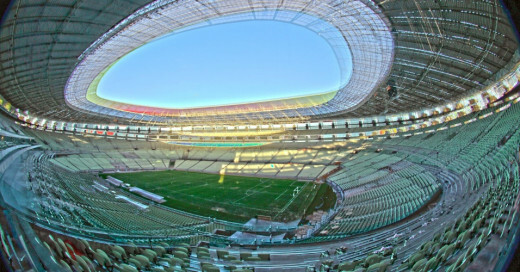 I decided to share a little article that I wrote of all the stadiums of this edition of the 2014 World Cup in Brazil. 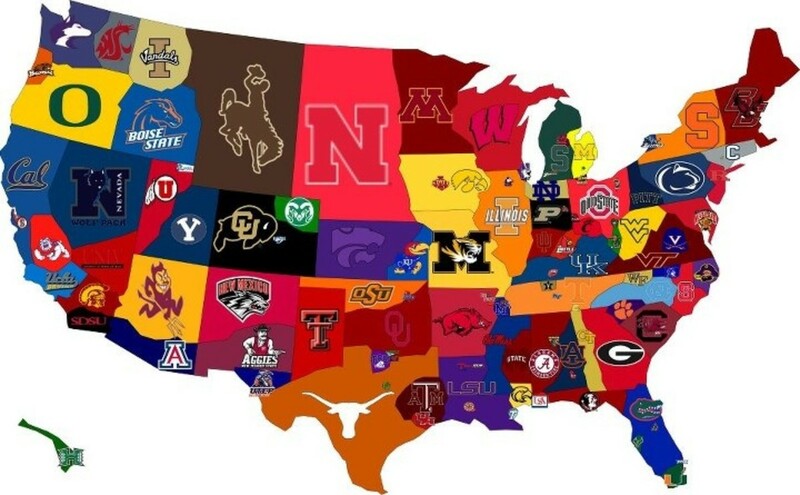 I will list all of the stadiums, location, seat capacity, and what games will be played at each stadiums. I also found a really interesting video that includes all the stadiums of the World Cup in a three minute video, it might be interesting for some readers to view the video at the end, hopefully everyone enjoys this article. 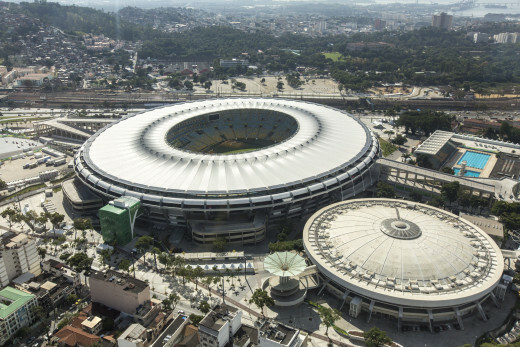 This is where the next World Cup Champion will be crowned, the newly renovated Maracana Stadium located in Rio de Janeiro. 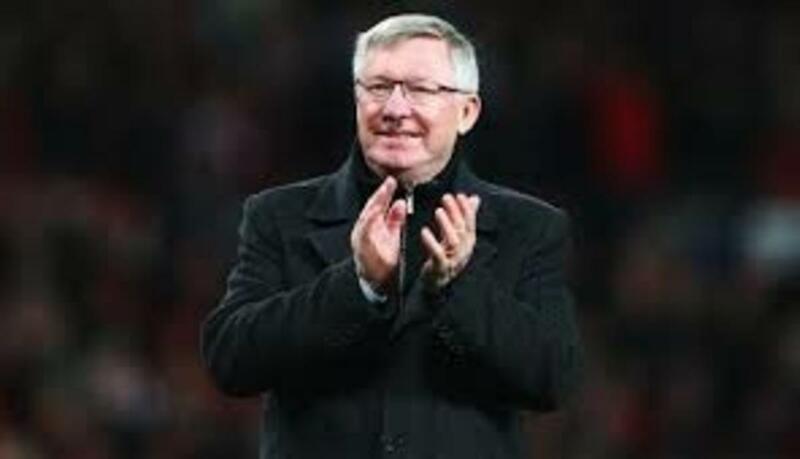 The stadium is currently holding the largest attendance to be ever recorded at a sporting event: 199,854 in 1950. 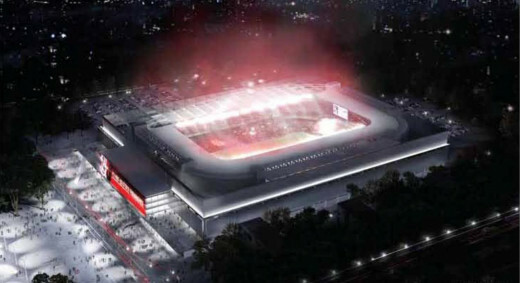 A very interesting fact is that after the new construction the stadium will cover about 95% of the seating capacity. 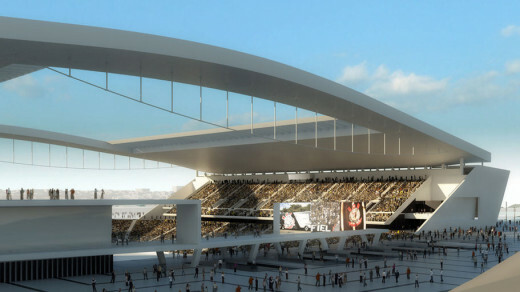 The newly build for the World Cup Arena Corinthians as everyone knows it in Brazil is another beauty and will be part of the opening match of the World Cup between Brazil and Croatia. The stadium is yet to be completed, and to be used for the first time. The completion date is said to be April 15, 2014. 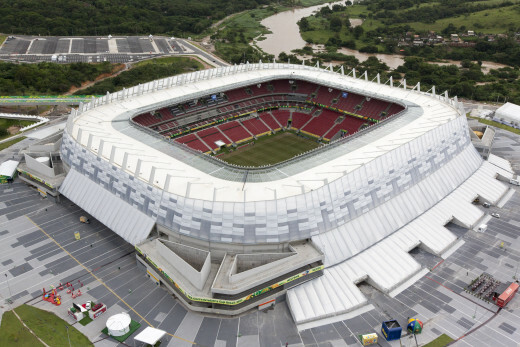 After my research, I find it very interesting that this stadium is the second largest stadium in all of Brazil, but by official FIFA World Cup 2014 statistics, the stadium has only 56,091 seats and that makes it the fourth largest stadium of the World Cup. 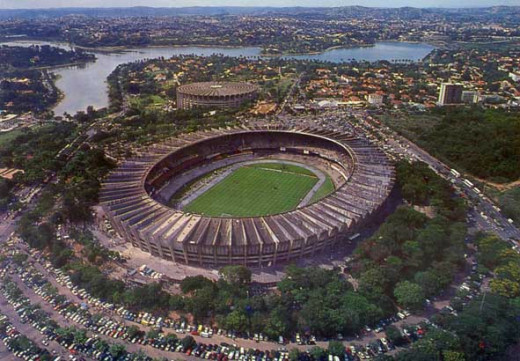 One of the stadiums located in the capital of Brazil, a real beauty estadio Nacional de Brasilia is rated one of the most beautiful facilities of the world cup in 2014.The stadium is also known as Estadio Nacional Mane Garrincha. 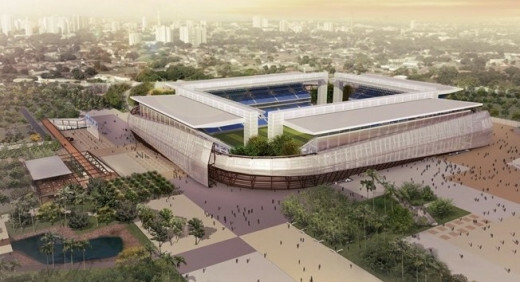 The stadium was named after the very famous Brazilian national football player Garrincha. The stadium was built in 1974 and was recently renovated in 2013. The stadium was originally built in 1973, and was recently renovated in 2013. The stadium max capacity is 67,000 seats and was recently expanded by 4,300 seats to fit more spectators during the World Cup in 2014. 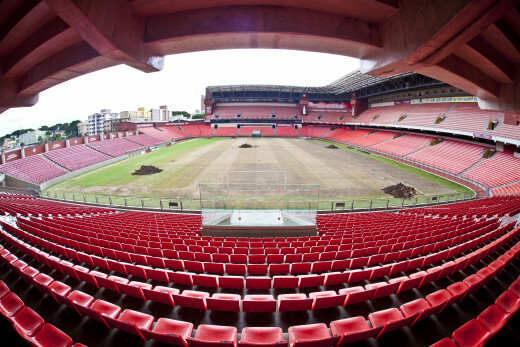 Arena Castelao was the first of the 12 stadiums to be completed and ready for the World Cup. 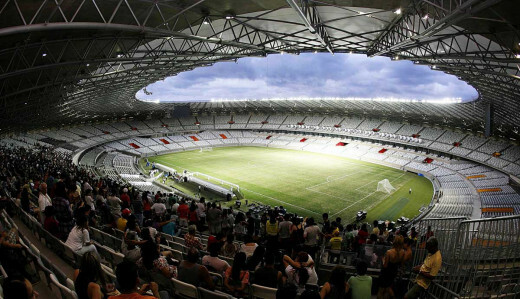 This stadium was specially built for the the FIFA 2013 Confederations Cup and the 2014 World Cup in Brazil. 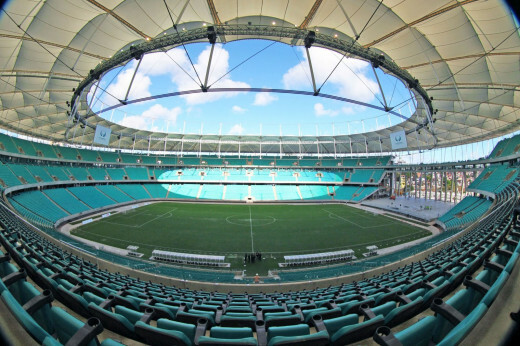 The maximum capacity recorded is 55,000 during the Confederations Cup in 2013. 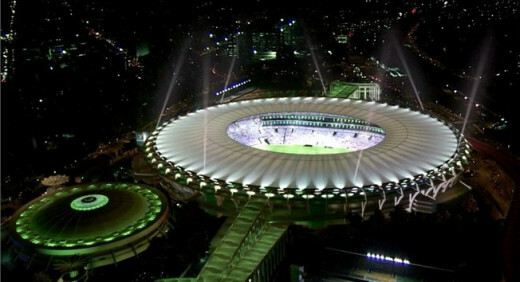 The stadium is also considered to be a part of the 2016 Summer Olympics in Brazil. 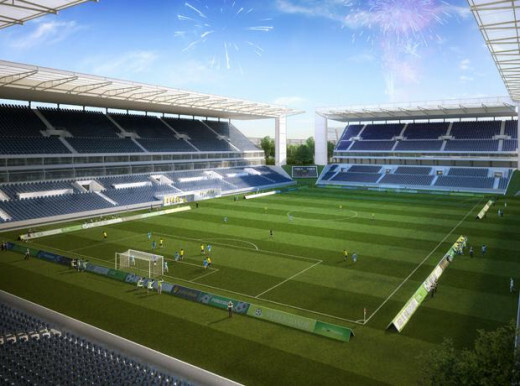 Porto Alegre will host a few of the matches of the coming up 2014 World Cup. 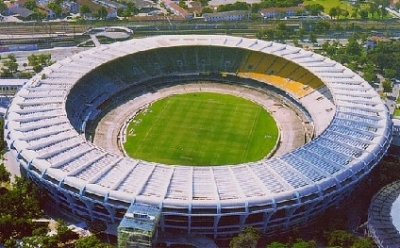 the stadium pitch was voted as the top pitch in the current Brazilian Seria A. 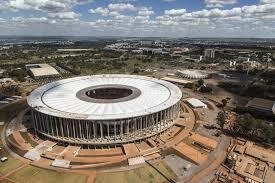 The stadium was first opened in 1969 and was currently renovated in 2013 for the 2014 World Cup. 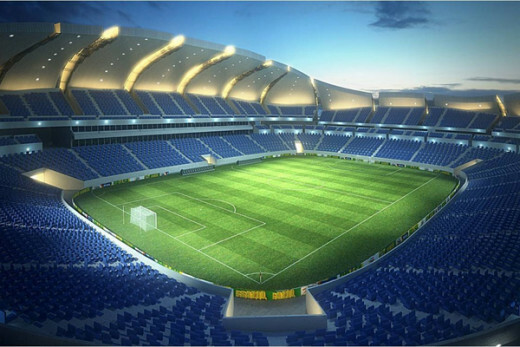 After the renovations the stadium will have the rights to host national and international matches. This another of the brand new multi purpose stadiums built specially for the World Cup. The arena broke ground in 2010, and was completed in may of 2013. 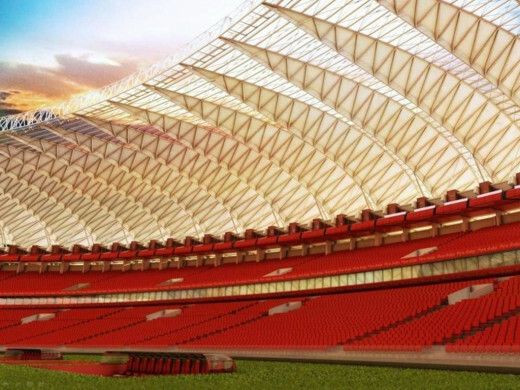 Club Nautico Recife will play their home games at the stadium. 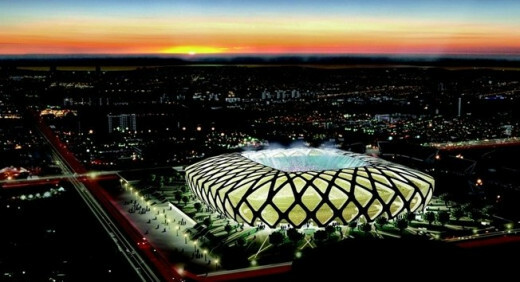 Another one of the newly built stadiums for the World Cup 2014. Construction began in 2010 and the stadium is due to be completed in early 2014. Construction has been temporary stopped due to the two fatalities that occurred in the death of two of the workers of the site after they fell from the room of the stadium due to a broken cable. 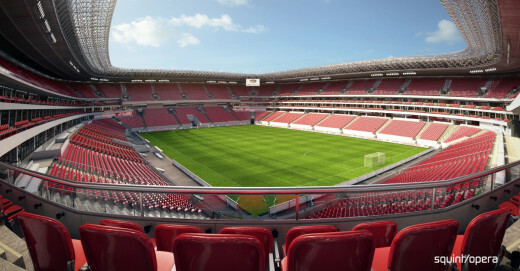 The maximum capacity is expected to be around 46,000 seats. 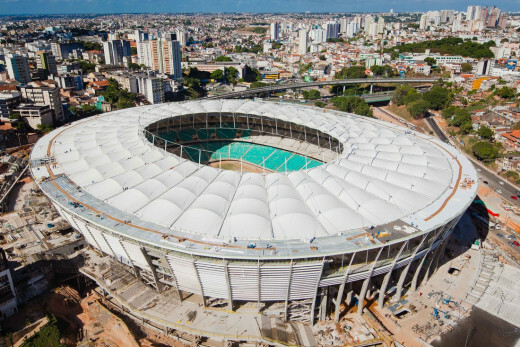 This is the second of the newly built stadiums for the World Cup, that has reached its completion and is expected to have a full capacity of 43,000 seats. This another beauty of the World Cup 2014. 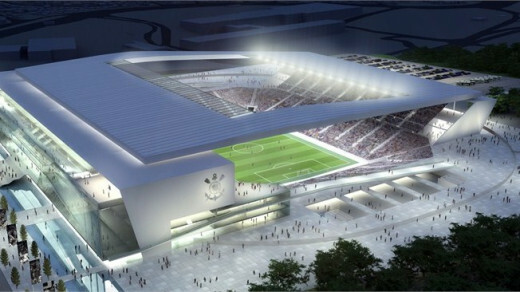 Arena das Dunas is considered to be "the most perfect stadium in South America". The newly built stadium that started construction in 2011, will have shopping center, hotels, restaurants, bars all built around it. 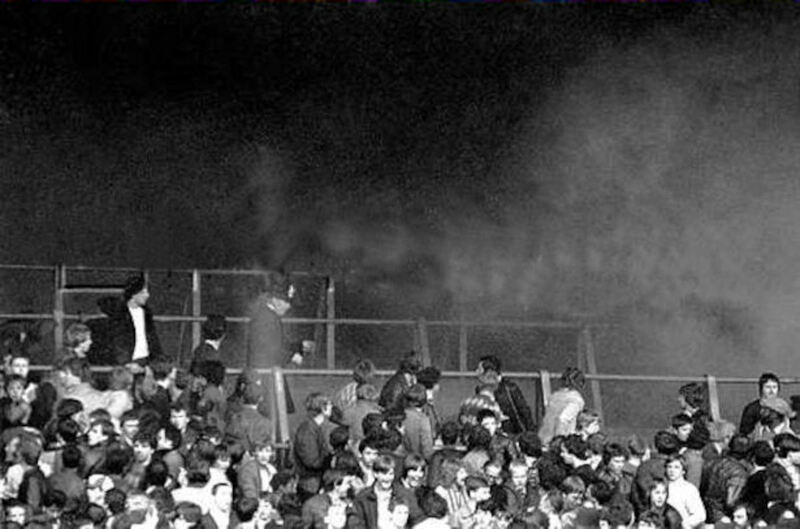 The maximum capacity expected is 45,000 seats. 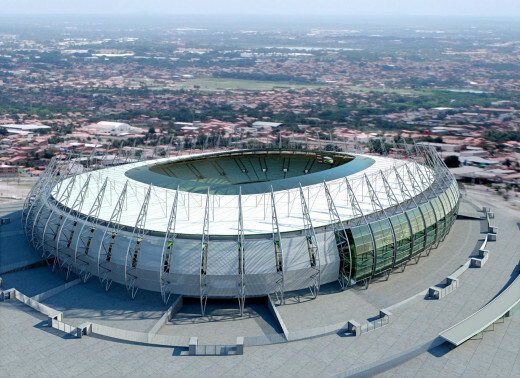 The stadium is considered to be the smallest by capacity stadium of the World Cup in Brazil. The stadium first opened in 1999, and was recently renovated in 2012. 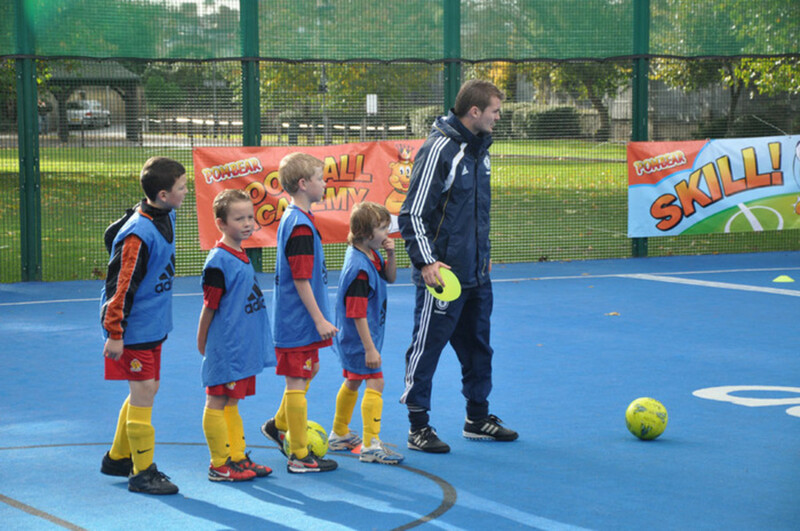 The capacity was extended to 40,000 seats from previously being only 28,000.